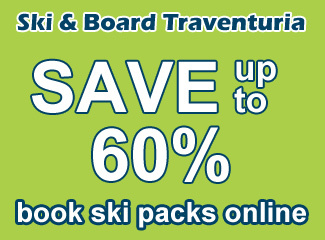 For most beginner and intermediate skiers ski rental is always something on the agenda when going on a ski vacation. I’m not counting expert skiers to this list, as more often they bring their own skis or already know what they need. In this article we will look into the different characteristics that will effect your skiing experience and hopefully make your next ski rental a little easier. Is it worth it to buy your own skis, or should you stick to renting? In my opinion it is best to start out with rentals, rather than putting down the cash to buy your own. Learn first what skis you need then go and buy them. It is always best to rent from a ski shop that is close to the lifts. This will save you the hassle of carrying your ski equipment too long and getting tired before reaching the slopes. Another cool extra you should look out for is the option to leave your skis overnight in the ski shop. 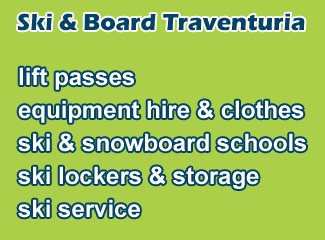 Most ski rental shops also offer you the option to pick up your ski pass from the shop. This is always a good option as it will save you from having to queue up for a lift pass. What skis should I rent? Here is where it gets tricky. In Bansko there is a huge variety of skis you can choose and this doesn’t make your choice any easier. The three characteristics you should be looking at are ski length, ski stiffness and turn radius. For beginners I would suggest taking skis that are at least the height of your chin. Most beginners think that shorter skis are easier to control, that is not the case. But don’t take anything that is higher than your nose. Turn radius plays a much more vital role in the handling, so for a beginner any ski length that reaches around your mouth should be good. Also, if you weigh less than average for your height, getting skis closer to your chin is better. Intermediate skiers should go for a slightly longer ski. The length should be between the height of your nose and your scalp. The longer your ski is, the more stability you will have at speed, but also the harder it will be to turn. You are a beginner or new intermediate skier. Softer skis are easier to maneuver and more forgiving than a stiff ski. Two things that are very important for a beginner. Why is this you may ask? A softer ski requires less pressure to flex and cut into the snow. This is perfect for skiers who are just learning to turn and ski down a slope and will be going at relatively low speeds. Most beginner skis also have an upturned tail. This is to allow the ski be be more easily released and skidded, so you don’t catch an edge and crash. Keep in mind that the stiffness of your ski should correspond to your weight. Intermediates will need a ski with medium stiffness. If you can’t decided which ski is stiffer with your own hands, just ask the shop. A stiffer ski takes more force to de-camber into a turn. That means it will support heavier weights and higher speeds without over-flexing. A strong tail will hold onto a carved turn better. Don’t go for the stiffest ski, as the stiffer it is the more tiresome it will be on your legs. Here things get a little more technical. Turn radius is the shape of a ski determined by its tip, waist, and tail width, usually expressed in meters. The narrower a ski’s waist is in relation to its tip and tail, the shorter the turn radius and therefore the deeper the sidecut. A ski with a deep sidecut (short turn radius) will make quicker turns, while a ski with a subtle sidecut (long turn radius) will turn more slowly and is typically more stable at high speeds. In other words your turn radius is pretty much how wide you will turn while carving. For beginners a turn radius of 16-17 meters is perfect. Even if you won’t be carving from day one, this still plays a vital role in the handling of the ski. Too short of a turn radius and you will find the skis unstable at speed or wanting to turn for you, too long and turning will be harder. For more experienced skiers this is all about preference and skiing style. If you like to do short carving turns at medium speed anything from 17-20m will be OK. If you like to ski faster and do longer turns, then go for something that is 19-23m. Anything above 25m is much harder to control and do proper carving turns with. For example, my freeride skis have a turn radius of 39m. This is perfect for high-speed, straight line, off-piste skiing, but requires a lot of skill to carve down the slope. Doing so means that I will be going very fast. By the time I do two turns with them, I will have done 7-8 turns with normal skis. The faster you can ski and carve, the longer your turn radius should be. We hope that this article will give you an idea of what you should be looking for in a ski. If you aren’t completely sure what you need always ask in the shop. 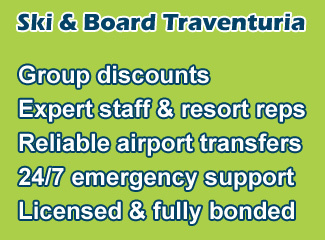 Ski & Board Traventuria rental shop in Bansko offers the best variety and new models of skis in the resort – all of them fully serviced after each rent. More than 15 brands in all lengths between 67 and 193 cm. 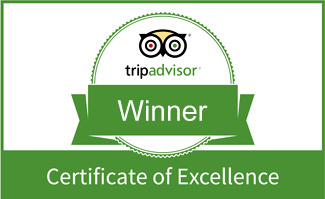 Save 10% by booking online.